Hi everypawdy! Yoda here, ya know, the blog’s superstar. Just wanted to say this post was written by a furiend and furllower named Summer. Hope you enjoy! You have taken a big step in life. You decided it was time to add a kitten to your growing family, or as a loving companion to keep you company. Owning a kitten may seem easier than a puppy, however, it still comes with extremely important responsibilities. While they may adorable in pictures, adding a kitten to your family is more than just bringing in a beautiful, yet curious, pet into your life. You have to be cognizant of the responsibilities that come with being a pet owner, and in taking the time to let them ease into your life and their new surroundings. Below are some of the most important factors to remember when taking care of a kitten. Hopefully they can help you while you transfer into this new role of becoming a proud parent to earth’s truly one-of-a-kind species. When we first brought home our kitten, we placed her in area that only she had access to during the night time. We put her bed, food, litter box and water all in this space so that she could feel comfortable while warming up to her new environment. This is also a great time to separate the food of the kitten from other animals in the house. This gave us peace-of-mind during the night, not only because we knew that she was safely tucked away in a place that she couldn’t escape, but it also housed all of her essential needs in one area. We only did this at night so that she could have free reign and explore the house during the day when we could keep a better eye on her movements. Ensuring you take this step in getting their bed and nightly routine ready will not only help them sleep more soundly, but it also help you in getting a good night’s sleep too. After all, you want to save on those sleepless nights for when you decide to have children someday…just kidding (not really). 2. Lots of love….of course! This may be common sense, but I can’t repeat this motto enough. Be sure to show your kitten love and affection right away. Play with them, hold them (for as long as they allow) and simply enjoy their company. You took them in for a reason, and that was to bring you happiness and companionship in life. Your love and affection towards them will hold a special place in their hearts that won’t be forgotten. While my cat is not a lap cat, she still lets me hug and kiss her when she does decide to come out to greet me. I think that if I didn’t give her instant love and affection in the beginning, she wouldn’t let me get close to her now. I am grateful that I spent the time showing her love in her kitten years, because now I can enjoy her affection as a full grown feline. If you have a veterinarian you use for your other pets, be sure to contact them right away about your new addition (if you haven’t already). If this is your first pet, then be sure to do your research on finding the best veterinarian for your pet and your family. Check out reviews online and get feedback from friends and other pet lovers on their recommendations. 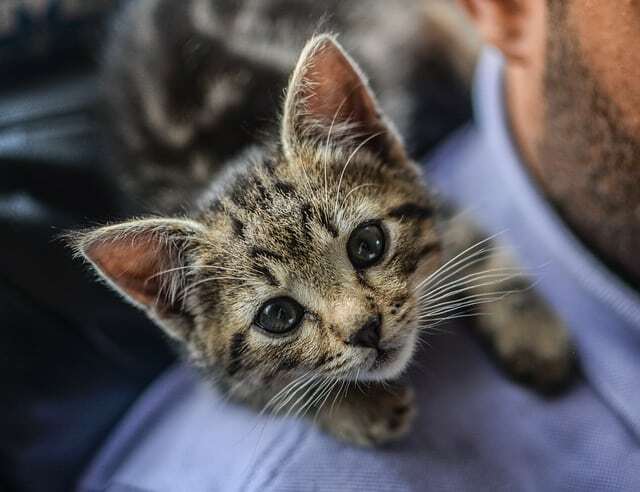 Once you choose your family veterinarian, set up an appointment and get your kitten in right away for their vaccinations and to set up future appointments. This is a hard one to share, but one that I found extremely imperative to do after you setup a vet appointment. I remember the heartache my brother-in-law faced after both of his cats got sick and suddenly passed away soon afterwards. His cats were brothers from the same litter and were extremely lovable creatures. When they got sick so fast, it threw my brother-in-law into a tizzy. He lost both of them within a week of each other, and was so saddened by the loss of his buddies. He came to find out that they had feline leukemia, a disease which can lead to death in 85% of cats in their first three years of life. Feline leukemia is also the second leading cause of death in cats, behind trauma related accidents. Testing can give you clarity on your next steps. If negative, you can take the proper precautions to ensure your kitten is protected from this devastating feline illness. This way, you don’t have to face the same heartache my brother-in-law did. Buy fun cat toys, like little mice, or string that your kitten can play with. Their toys help them burn energy and focus on something cat-related. This puts their focus away from other animals in the home, or in scratching up your furniture. Investing a little time in playing with cat can really make them feel wanted and included in your family and life! A scratch post is also a good item to have for your new addition. This lets them use their claws on something that is made to be scratched, and not something that is expensive, like your couch or loveseat. Things take time, and for some animals, that may be learning to welcome a new addition in the home. Do not force a relationship, let it evolve on its own. You have to be sure to not interfere too much, but know when to step in when things get strenuous between them. The best thing to do, is to show all your pets equality of love and affection. Play with them while they are out together, or at different times throughout the day. Being cautious of spending quality time with each pet is imperative! Own another cat already? 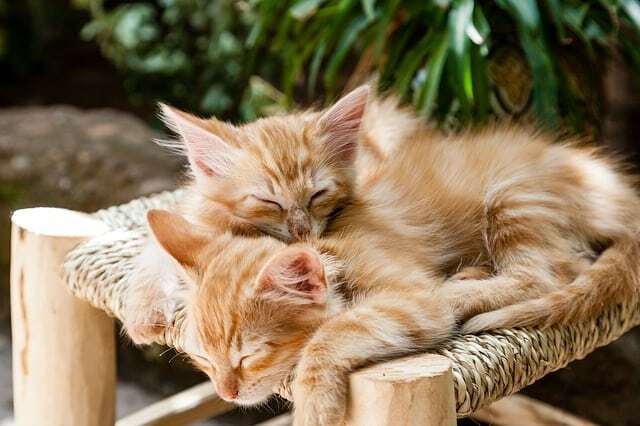 See our guide on how to introduce two cats. There are a lot of stray cats who long for a home in the world. Do not be leery or worrisome of having your kitten properly spayed or neutered. There often clinics who offer discounts on this procedure. Some vets may also offer payment plans. Most of the time, before you can even adopt a kitten/cat, they must first be spayed or neutered. Hesitation and frugalness should not stop you from taking care of having your pet properly neutered. Our world has an abundance of cats who need and want homes. Do not add to this population willingly or ignorantly. We would not want more kittens brought into this world to only end up being unloved or uncared for. 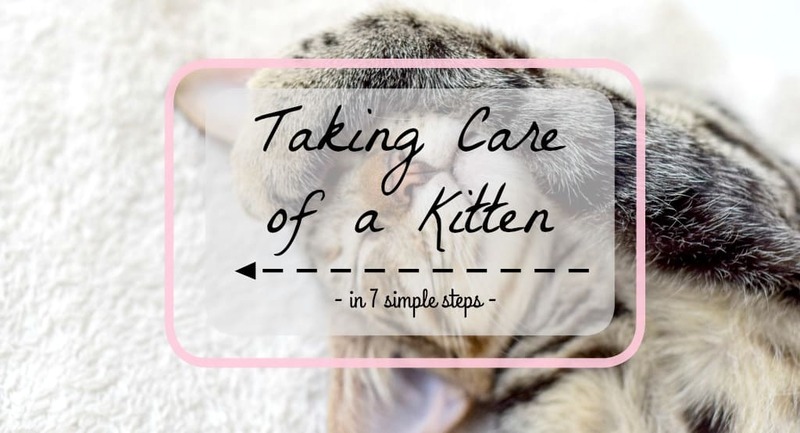 These tips are some of the most important ones that can help you in your care of a kitten. 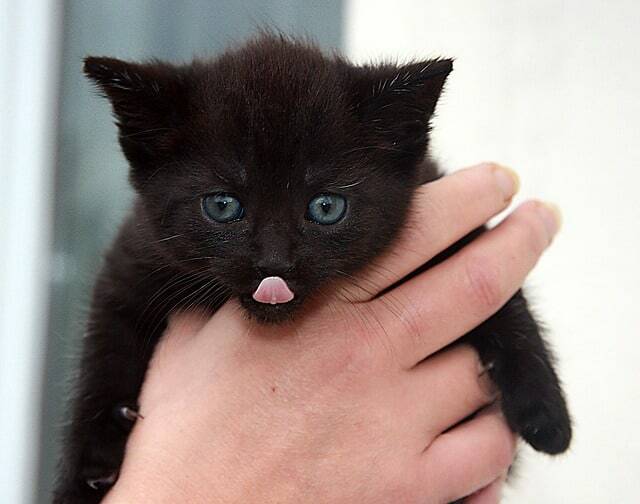 Each kitten is unique and its needs may vary depending on your kitty’s personality or surroundings. Never hesitate to reach out to your local vet, friends or family if ever you have a doubt! I hope that you enjoy this new addition! Cats truly have their unique personality and quirkiness that only make them all the more loveable. Enjoy, have fun and be smart! What Should Kittens Eat and Drink? My Cat Had Kittens, Can I Move Them? Cat Coughing and Gagging: What Does It Mean? Previous Post Yoda’s Adoption Story! Like human baby you should take care of the kitten. They are very cute and they require love and affection. It is big job to take care of a kitten. First you should give a name. Prepare a sleeping arrangement where they feel comfortable. Make a plan for their food. Feed your kitten at least three times a day. As they are very small so give them liquid food (milk). Give them fresh water. Kitten generally love to play so to make them entertainment play with them. For their healthy life it is better you should consult a good pet doctor. 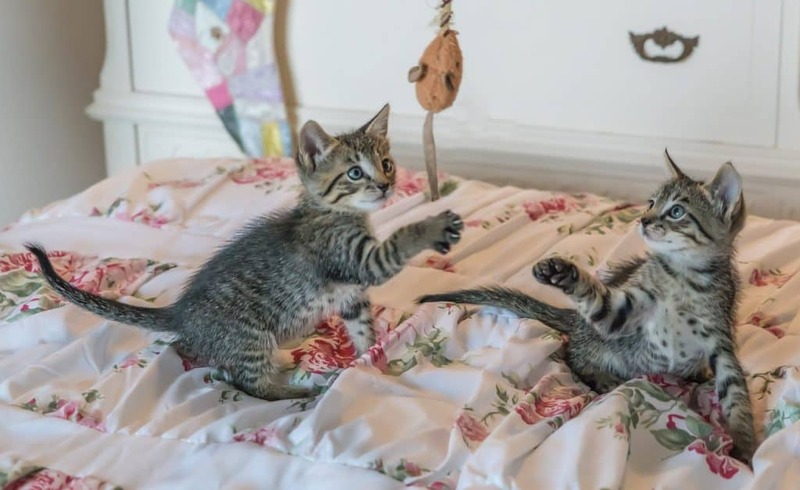 My wife has been wanting to get a kitten and I think it could be very fun, although, we’ve never had one before and don’t know how to care for one. We’ve only ever had reptiles as pets and they seem to be much different than kittens in terms of attention and care. I’ll have to remember your tips and make sure we have a vet appointment to check it for any conditions and sicknesses. Thanks for sharing! Hi Tyler, you are very welcome, thank you for your comment. Have fun with your new friend 🙂 Do not hesitate to come back here if you have any question!